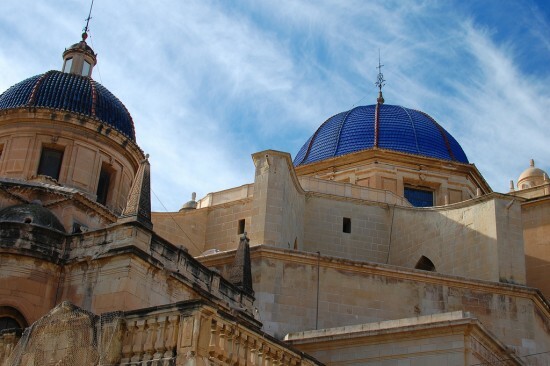 Today we propose a visit to the third largest city of the Region of Valencia in number of inhabitants, Elche is located in the south coast of Alicante. Elche is well known for its industrial wealth but also what makes it unique and unforgettable is the Mystery Play of Elche (chanted drama of mediaeval origins) and its Palm Grove, the largest in Europe. A unique and special heritage of the city. If you are travelling to a new city usually, you will include in your trip the classic tour of the old town, somewhere on top with good views, the visit to some museums, churches … and Elche has all of that, but if Elche is known worldwide is thanks to two pieces of their heritage not so easy to classify. The first is the Mystery Play of Elche, designated as a Masterpiece of Oral and Intangible Heritage of Humanity by UNESCO, and the second is its Palm Grove, recognized by the same institution as a World Heritage Site. 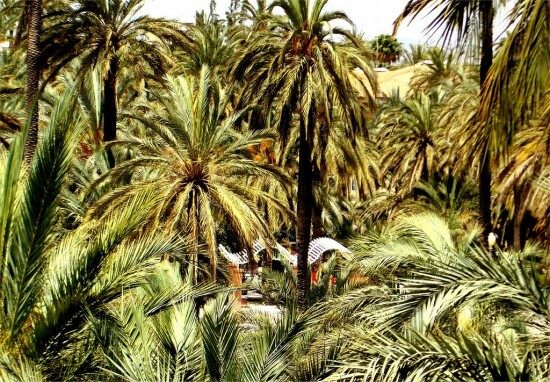 The Palm Grove of Elche originates from the 10th Century. It is the largest in Europe and only some Arab palm groves exceed it. It contains up to 200,000 palm trees distributed in small groups called “huertos” orchards. Elche is the only place in the world that persists in the artisanal production of palms. In addition to the exquisite dates, these white palms are carried in religious events by celebrities like the Pope. A green paradise in the city that makes its a must visit. Located 25 km from Alicante, belonging to the Bajo Vinalopó and along the coast, Elche has 12 km of beach but this is not the magnet that draws the tourists in the summer. 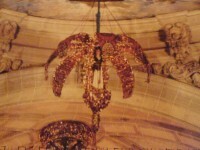 Between August 14th and 15th every year is the staging of the Mystery of Elche, a sacred-lyrical religious drama that recreates the Assumption of the Virgin Mary. Divided into two acts each time the representation is made in the Basilica of Santa Maria, with a great display of sacred music and choirs, in a subtle blend of medieval, baroque and renaissance. This unique work dates back to the fifteenth century and what differentiates it from other oral traditions is that recreation has continuously maintained since. All characters featured are male and the text is written in old Valenciano, with a few parts in Latin. Those who have ever seen the staging of the Mystery say it is very impressive. Colegio Internacional Alicante knows the importance of highlight the richness of this country and its historical, artistic and natural variety. Elche is one of those trips that surprise students.